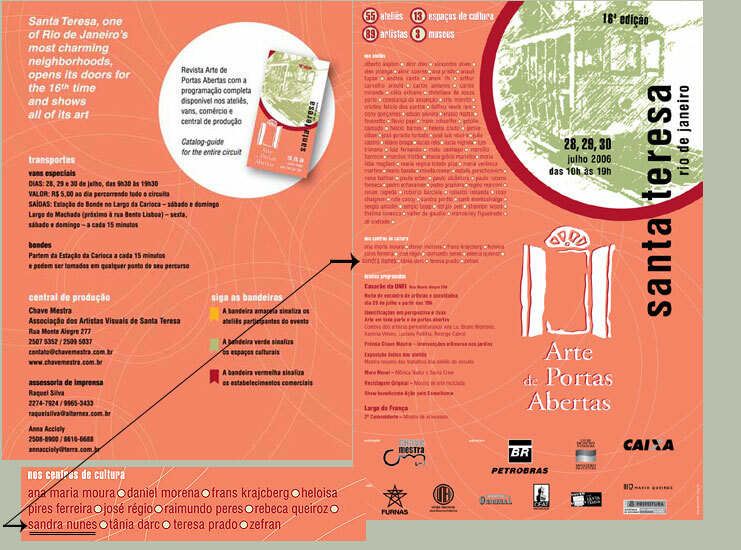 In it´s 16th edition, one of the greatest collective tasks of fine arts in Rio de Janeiro, the project "Arte de Portas Abertas" takes place in Santa Teresa, one of the most charming districts of the city. It started in 1996 with only 16 studios opening their doors to the public during a scheduled weekend of the year. 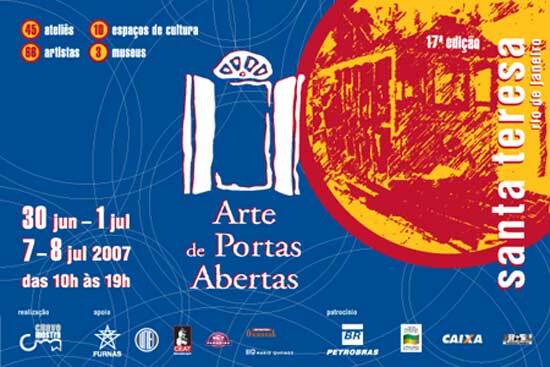 Nowadays with an attendance of about 30.000.This event has projected Santa Teresa as a center of artistic production lending to the district a new cultural dynamics.